The latest version of the Lyric system from Cyrus, an excellent all-in-one system boasting music streaming, CD player, DAB+ and internet radio and more. Just add speakers! The Cyrus Lyric is a fully-featured all-in-one music system offering a staggering suite of connectivity options and features as well as high quality components. Cyrus believes the Lyric is so capable that it can offer performance levels akin to a high-end Cyrus 8 Series separates system. 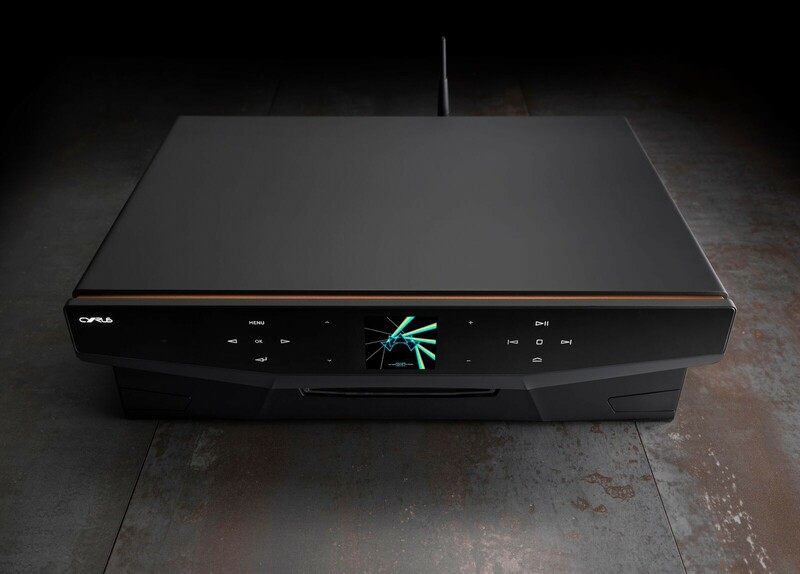 The all-in-one Hi-Fi system connects you with your music, whatever source it comes from - easily connected to one of 14 sources, the Lyric utilises the latest expert audio technology to transform the sound of any input. Available in stealth (all black finish) or stone (all silver finish). Cyrus used their Servo Evolution (SE2) disc reading system in the Lyric - a technology which has won a range of awards due to its ability to extract more disc information than any other system. The SE2 software in the Lyric has been customised for the system and provides more detail and accuracy than ever before. The advanced music streaming technology employed in the Lyric can be paired with any Universal Plug and Play (UPnP) or Digital Living Network Alliance (DNLA) device and allows you to browse and playback your entire digital music collection losslessly and wirelessly. Enjoy a whole range of radio features - FM, DAB+ and access over 70,000 worldwide radio stations with Internet Radio functionality as well as a range of podcasts. Allowing users to play music from a mobile device or USB, Cyrus Lyric includes USB connections sited on the front and rear panel. It also has the ability to charge any connected Apple device while in use. The Lyric also features a USB B input, letting you connect a laptop or computer to the digital input of the Lyric. The SPDIF Optical and Coaxial inputs enable a range of other inputs to be connected, which can benefit from the sound improvements the Lyric has to offer. Bluetooth functionality enables any Bluetooth device to be connected to the Lyric letting you wirelessly enjoy and share your favourite tracks. The Cyrus Lyric also features an optional subwoofer output. The Lyric is capable of playing the highest resolution 24-bit files, and features a range of digital inputs, converting your digital music and retaining all the life and detail associated with analogue. The DAC of the Cyrus Lyric upsamples all digital files to 32bit/192kHz, so even with a lower resolution file you will enjoy an improvement to your music. Cyrus' advanced power amplifier was redesigned for Lyric Series for advanced efficiency, providing more power to the amplification process. This means that the hifi system is able to provide an impressive 170 watts per channel (into 8 Ohms). The Speaker Impedance Detection system guarantees the Lyric will extract the full potential of your speakers. It works by measuring the impedance of speakers automatically and adjusting the frequency of its output to match.